Dandruff shampoo. You may not know but dandruff shampoo contains ingredients designed to really clean the hair and remove dandruff – these can also remove colour faster than you would like. It is not a suitable product for color fanatics. 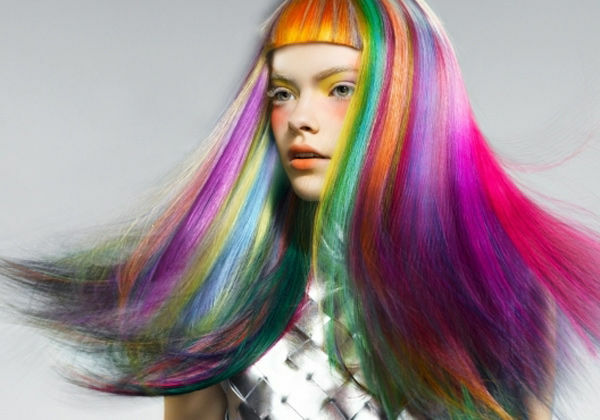 Best to use a sulphate free or color friendly shampoo – which may help to reduce your colour loss. Rinse hair with cold water, post shampooing. It closes the hair cuticles and seals in maximum color. Shampoo as little as possible. Semi-permanents will lose colour after each wash so avoid over-washing hair. No sunbathing. Too much direct sunlight will strip all that edgy Crazy Color right out. Wash your hair as much as possible. Each wash will begin the color fading process and the more you do it, the more it will fade. Ditch your regular shampoo. Use anti- dandruff or clarifying shampoo or shampoos for greasy hair -not shampoos for dry, damaged or colored hair. If you get some unwanted embarrassing stain’s we have a few tips to remove them quick! Luckily enough you will have most of them in your cupboard. Toothpaste is a handy one. Make it into a paste using soap and water – use a cotton bud around the hairline. Bicarbonate of soda Apply a solution to the stained skin and rub gently.